Mahbod Seraji’s debut novel Rooftops of Tehran is a beautifully crafted journey set in Tehran, Iran, during the tumultuous 1970s. Pasha Shahed is a teenage boy who in the summer before his last year of high school faces the reality of his homeland, the despair of irrevocable change, and his first love. With the secret police, the SAVAK, on their heels, Pasha and his friends must be careful how they act in public. Interspersing the narrative with chapters in the present and chapters in the past creates a palpable tension, and readers will speed through the pages to uncover the mystery of how Pasha ends up in a mental institution. Pasha and his friend Ahmed spend many nights on the rooftops discussing school, love, and life, but their simple lives soon become complicated. Ahmed declares his love for Faheemeh even though she is betrothed to another, and Pasha holds his secret love for his neighbor and friend’s fiancee, Zari, close to his heart. “Doctor” and Pasha have a genuine intellectual relationship, but the underlying tension stemming from Pasha’s secret love for Doctor’s fiancee Zari, lingers behind the surface. Seraji paints a clear picture of Iran’s people and the culture that dictates its people survive even the worst situations possible. Pasha is a strong character in spite of his doubt, but like any young person feels personally responsible for the major events in his life even if he was powerless to stop them. From the Iranian dishes to the crowded neighborhoods, readers will fall into Tehran and walk the streets with Pasha and his friends. The tyrannical government’s actions and dispensation of justice are infuriating and crushing, but in the midst of these heartaches, readers will laugh as Pasha and Ahmed poke fun at one another and Pasha regains hope. Seraji deftly creates memorable characters whose lives become fraught with tension and possible death. 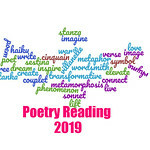 Readers are likely to become heavily invested emotionally in Pasha’s life, cheering him on, crying alongside him in his grief, and hoping that he will regain his center. Rooftops of Tehran is witty and emotionally charged; a novel that will leave readers wanting more of Pasha and his family and friends. This debut novel reads like a well-polished epic. 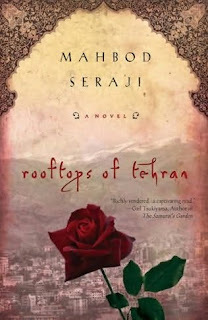 Rooftops of Tehran has made it to my growing list of top books for 2009; I was so emotionally involved that I found myself weeping on more than one occasion. Now, I have one copy to giveaway to my readers; the giveaway is open internationally. All you need to leave a comment for one entry, and additional entries for tweeting the giveaway, blogging about it, or spreading the word in other ways.